Ian McNabb talks to Getintothis’ Peter Guy ahead of the release of his new album Eclectic Warrior and his support slot with Neil Young at the Echo Arena. On the menu for discussion, his love of all things Shakey, smoking bans, Liverpool’s answer to John Bonham and the songs which upset his mother. Getintothis: Hello Ian, what’s new. What have you been up to today? Ian: Hello there. Well it’s Sunday so I’ve just cleaned out my cellar. Thrilling stuff. Getintothis: Funny you should say that as we’ve just been doing the hoovering. Ian: That’s what Sunday is for! Getintothis: Anyways, on to slightly more exciting times – you’re playing with Neil Young later next month. You must be itching for August 18? Ian: Yes it’s a dream come true. I said to somebody the other day I would rather be opening for Neil Young than headlining an arena myself! I’m also thrilled to have Cold Shoulder playing with me who I recorded my new album with. Getintothis: For readers who aren’t aware of your connections with Young’s band Crazy Horse, tell us about how you struck up a friendship and played together. 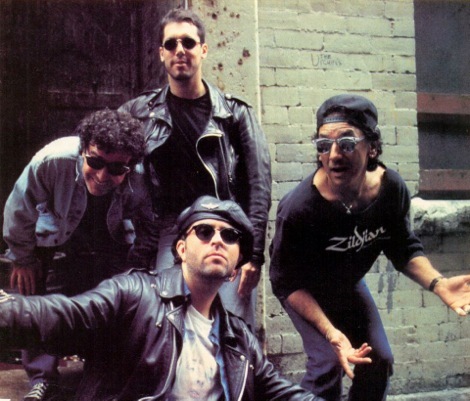 Ian: In 1993 we recorded an album together called Head Like a Rock. It was released in 1994 and went on to be nominated for the Mercury Prize. I stayed friends with Crazy Horse and we have played together off and on publicly and privately since. People always ask me how we came to work together in the first place. It was easy. I just got a number and rang them! Getintothis: You’re still a huge fan of all things Shakey, what do you think of his recent material? Ian: Neil puts out a record a year without over thinking them. The standard has dropped for me over recent years but the new album, Psychedelic Pill, is one of his very best in my opinion. I’ve certainly played it a lot more than other recent works. Getintothis: His influence is all over your new album; My Life To Live Again, with the extended instrumentals with that tinge of melancholy in particular struck me as an obvious one – how much of a person and song-writer does he course through you? Ian: Yes this album is very reminiscent of the Crazy Horse sound. I always think of it more as being their sound as Neil doesn’t sound the same with anybody else. I listen to so much music and am influenced by many things; mainly other great songs. Neil Young is a personal hero but I listen to lots of songwriters. There are millions of them, especially now. Lots of great new artists coming through. Getintothis: From his extensive back catalogue, what are you favourite tracks and why? Ian: I love The Old Laughing Lady from his first album. The most subtle song about death I’ve ever heard. So subtle in fact I only worked it out recently! I love Cortez The Killer from Zuma; I enjoy an off kilter history lesson with my guitars. Of course, I really love Rockin’ In The Free World, a gift to bar bands everywhere! There are too many to mention. Getintothis: Kurt Vile is fast-becoming the modern day Neil Young; an unreal musician, great song-writer and free spirit. Are there any acts around today who you like that you consider are inheriting Young’s spirit/music? Ian: Jonathan Wilson is a personal favourite. There appears to be a new Laurel Canyon scene emerging. Father John Misty is amazing. Ryan Adams has got a Neil thing going on. 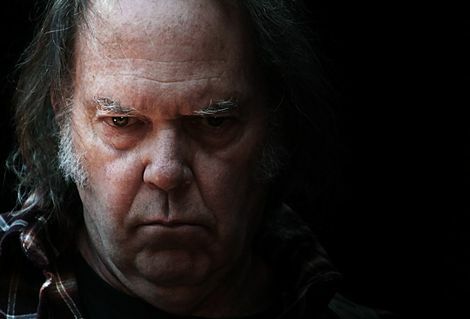 Anyone who does what they want musically and not what they think other people want reflect the Neil Young spirit. Dawes are a band that owe Neil a lot. Getintothis: Have you any special covers or guests lined up for the gig that you can tell us about? Ian: I still haven’t worked out the set! I was worried we weren’t going to get the gig for up to about a week ago. The ‘powers that be’ never get back to you! Special guests? That depends how long we get to play. Band of Horses, who I like a lot, are on the bill too. Getintothis: Band Of Horses are superb, we saw them at the Academy and the Ritz last time round – a cracking live band. So, you’ve a new record out – Eclectic Warrior. Tell us about the inspirations behind it. Ian: I haven’t made a rock record for a long time so I wanted to get back to there. I also wanted to use different musicians to my regular band to get me out of the comfort zone. I have some friends who have a band called Cold Shoulder who are a three-piece so I asked them to do it. They are young lads with a great spirit and we just glued together with ease. The album was recorded in four days. I just took a long time to mix it. Getintothis: Eclectic Warrior seems an apt title, what with their being two very contrasting sides to it; the more melodic crafted songs, then the warrior-like ragged rock & roll. Was this an intention before you went into the studio or was it how it evolved? Did you have the title of the record in your head before you went in? Ian: I just made it up as I went along. I had my usual list of 12-15 songs prepared though as I hate wasting time in the studio – it costs money. At least four of the songs were written a couple of days before we recorded them! I like to keep it fresh. I like to mix the styles up. Crazy Horse call my music pop ‘n roll! The title came from my road manager. We both love Electric Warrior by T. Rex. Getintothis: Opener Smirtin’ reflects much of what you seem to stand for – it’s verbose and wears its heart on its sleeve – you’re clearly still giving it to the man, right? Ian: Yes, I really wanted to make a statement with that song. It’s about smoking outside and flirting with young ladies. 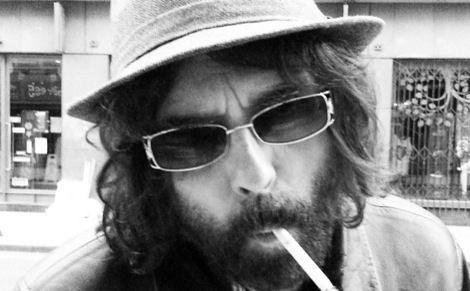 I also fume (literally) about the smoking ban… But I’m going to stop smoking soon, honestly! I also like swearing in songs and this one has plenty of that! My mother hates it for obvious reasons. Getintothis: Haha! Me too, I’m always swearing, particularly when talking about music – my mum’s always just out of ear shot, so I get away with it… The album was recorded at Parr Street. How much of it was recorded ‘live’ as opposed to re-recording, as it has a certain spontaneity to it? Ian: All the music was played live as you hear it. We did quite a few vocal overdubs but that was because when we were doing the music I was still shouting out the chords to the band as I had only just written the songs. The faster you can make records the better they are. Getintothis: Nick Kilroe plays a special part on the record, we saw him drumming with Poltergeist at the Kazimier last year, and he glued all of it together – his role on (I Just Wanna) Rock N Roll My Life Away is ace. Tell us about Nick and his part of the record. Ian: I’ve known Nick for over ten years. He used to be in a band called the Black Velvets, who were friends of mine. We’ve stayed friends and his playing is just phenomenal. He’s the new John Bonham to my ears. I love the Poltergeist record and Nick’s also a great guy. He will rise to the top very quickly. Getintothis: Eclectic Warrior‘s been available since March, what’s the reaction been like? 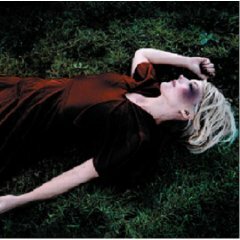 Ian: The album hasn’t actually been released yet! I’m just selling it on my website at the moment (buy it here). It will get a proper release in September. Getintothis: The album was made as part of the Pledge Music Project. For people not familiar with it, tell us about it and what you think of the scheme as a whole. Ian: This is a scheme whereby your fans pay for the album before you record it. It’s a brilliant idea, cuts out any middle man and the fans have direct contact with the artist. This is the way it is going now with things like Kickstarter etc… We are all looking for new ways to do music now that the industry has died. Getintothis: A question we always ask: fantasy dinner party at Ian McNabb’s; five people – dead or alive, fact or fiction, you can invite them all round to yours. Who would you have? Ian: Stanley Kubrick, Arthur C. Clarke, Richard Burton, Peter O’ Toole, Audrey Hepburn. All bases covered there! Getintothis: Liverpool seems to be enjoying a renaissance in the arts at present, what music or arts are you digging at present within Merseyside, and what are we missing? Ian: I think the scene is really healthy. I used to go to gigs every night but middle age prevents me now as I get too tired. I like a lot of the new music but won’t single anyone out. ‘Power on’ I say to them. I was told not to bother when I was 20 and here I am still doing it. I would like to see more mid-sized venues (2-300). Liverpool’s an exciting place to be in 2013. Getintothis: You went to New York recently. Tell us what you got up to, any stories to share? Ian: I’d love to tell you some stories but it was minus 10 degrees for most of the trip and was not the best weather for frolicking around town! Most of the time was spent huddled over soup and hot drinks. I love NYC and try to go there a couple of times a year – best city in the world. Getintothis: So what’s next? You seem to be on a roll with new tracks spinning out all over the place. Ian: I’ve got a lot of shows from September onwards. I will probably do a new album in January. It goes on. As long as I can do a good job of it and people stay interested I can’t see any reason to stop. We’re putting Eclectic Warrior in for the Mercury Prize this year. Why not? It worked 20 years ago. Getintothis: On that note, Ian, this is the end of the interview. Can you rate it out of 10, and tell us your favourite breakfast cereal? Ian: A very good set of questions by someone who has obviously done their research, which makes a change! 10/10. Oh, and Weetabix. Getintothis reviews Ian McNabb and 4 Men 4 Mencap at The Zanzibar. 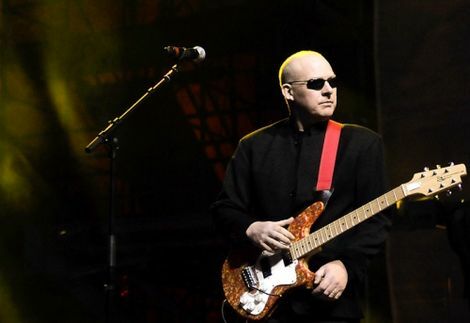 Getintothis talks to Brian Nash on teaming up with McNabb ahead of their special Zanzibar gig. 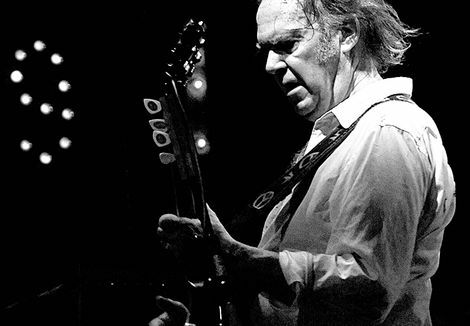 Neil Young and Crazy Horse play Liverpool Echo Arena date as part of Liverpool International Music Festival. Getintothis reviews Neil Young at the Manchester Apollo Theatre. Getintothis reviews Dawes at the Kazimier.